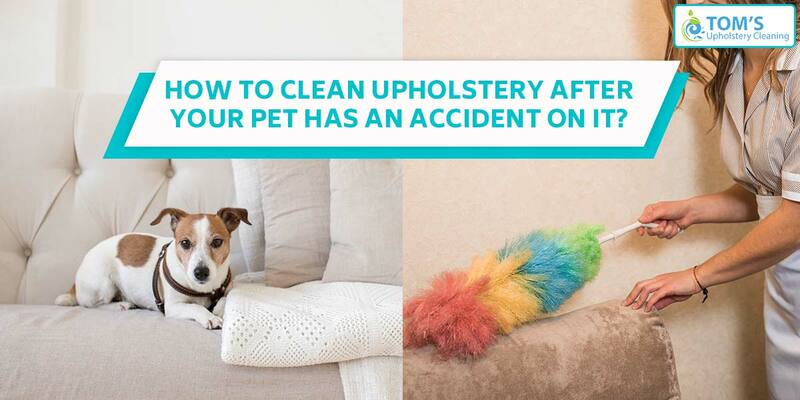 Pet Stain removing from Upholstery is one of the trickiest and difficult upholstery cleaning activity and Toms Upholstery Cleaning Melbourne sincerely recommend you to seek professional help when there has been an accident on your furniture upholstery by your lovely little pets. Even though Toms Upholstery Cleaning Melbourne provide on-site same day services across Melbourne, there is something that you can do to minimize the damage that could otherwise be caused. How to clean Pet Poop? The most experienced member of Toms Upholstery Cleaning Melbourne says, “if you let the pet poop stay for overnight or even for an hour or two, the stains will be almost impossible to remove. The difficulty that will be caused by the removal of pet poop stains and odour also highly depends on the material type of your upholstery.” cleaning expert continues, “if your upholstery is of leather or faux leather than the poop will no seep deeper between the cohesion of the upholstery and it will be super easy to clean, but if you have any upholstery material other than leather than you are in big trouble because the poop and odour seeps into the fabric easily.” He advises the following solution before the professional cleaners arrive. “The important point to first take notice of is to remove the moisture of the excrement, grab as many tissue or toilet paper as you reckon necessary and pile them gently over the poop. Make sure you do not press the poop as that would stain the upholstery deeper. To get same day, onsite Upholstery Cleaning Services call Toms Upholstery Cleaning Melbourne on 1300 068 194.